Chances are good that you are scared. Scared about your job, scared about the value of your home, scared about your investments. It's ok to be scared, but it's very worth turning scared into an opportunity. I would argue that scared is the best opportunity, especially as it relates to your job. Let's be honest: even once the economy recovers, things are probably not ever going to be the same. Once it's been proven that profitability can be achieved with less people doing more things, most will not quickly go back to excess. How are you reacting to this? If you are continuing to do just enough to get by, you are probably really scared and very likely with good reason: 80% is no longer good enough (for that matter, many of you are probably being asked to or finding that you need to give 110%). You are easily replaceable in your job because there so many people that don't have one. The focus has never been stronger on what you are achieving on a daily (hourly?) basis because your boss and your customers want high value for their dollar. If you only do the right thing when someone is watching, if you strive for nothing better than mediocrity, if you do as little as possible to just get by . . . it has never been more likely that you'll get noticed and not in a good way. It's possible that you're lucky. It's possible that you have someone other than yourself (customer, boss, mentor, etc.) leading you that pushes you hard so that you provide high value. The push can make you scared because it can be intimidating and the intimidation may create fear. (i.e., make you more scared) Here's the thing: you wouldn't feel scared if you were already performing at high value. Think about it: if you stepped back from yourself and looked as an independent third party, would you be able to say that you performed at high value every hour? It's one thing to say that you are a high value employee or business owner or service provider, but it's quite another to prove it through observable action. High value, 110%, however you describe it, may seem unsustainable. I disagree. It is sustainable with proper care and feeding. If you have someone pushing, hopefully whomever that is makes themself available as a resource, allows you to fail as long as you learn, and pushes you to balance your life between your high value work and your personal side. If you're pushing yourself, you have to be careful not to lose yourself to your work or burn yourself out. It's ok to be scared, but use scared as an opportunity. Wilson Sonsini Goodrich & Rosati (I'll always remember growing up hearing about them just as "Wilson Sonsini" from the lawyer in my family) has released a Term Sheet Generator for venture financing . . . free of charge. I played around with it and have to admit that it's extremely comprehensive; not only is it practically valuable, but simply seeing the process, going through all of the questions, and reading the comprehensive explanations seems to be a worthwhile exercise for anyone seeking venture funding. What was especially interesting in the generator was the fact that it highlights the most common question response, making it infinitely easier to evaluate the right decision as opposed to hoping that you are choosing the correct response. Why would Wilson Sonsini do this? It's not really costing them anything -- by their own admission, it is a web-based, generic version of a tool that they already use in-house. Maybe the end result will work for some venture money, but my guess is that there's enough that's generic that you may need to call Wilson Sonsini for advice and/or customization: give away the artifact (i.e., the term sheet) and make your money on the resultant service. Will some other attorneys use this and charge their clients for it? Probably. But my guess is that Wilson Sonsini is not after the clients that would go to those types of attorneys. I think there's a massive paradigm shift that needs to happen in the field of law. Instead of charging hours to create what are essentially templated forms, agreements, contracts, etc., why not just sell the template for, say, $200? Buy some Google AdWords and advertise for very little per month, especially if you are selling a very specialized document. People can buy the template 24/7/365 from your website and if it's good enough as is, then you are still making money while you sleep and the purchaser feels like they got a good value. However, if the purchaser needs further advice or reviewed changes or some other service related to the document, then you can work out an hourly (flat?) fee for the services. I would recommend taking it a step further and setting up your site with a blog and an opt-in e-mail list where visitors can receive a once or twice monthly newsletter with tips and information (that send them back to your site for the things that you are selling). Someone's going to figure this out and Wilson Sonsini's starting the trend. Hell, if you're an attorney that wants to take a crack at doing something like I described, drop me a note and I'd be glad to partner and help you. And it's not fixed yet. I sent this out to all of the Directors and Managers in my company to inspire them to step back and look hard at their operations to make sure that we are not broken. Link to Seth's blog post about this. I don't really remember how I came across I Will Teach You to be Rich by Ramit Sethi. Generally I do not invest money in money management books because not one of the books ever tells you to save money by not buying money management books; in the case of this book, however, I think the $10 or so dollars is well worth the investment. One of the main things that I like about this book is that Ramit is speaking my language -- we are around the same age and we appear to have many of the same outlooks on life. I like the fact that Ramit is unfiltered in his writing and, in watching some of the video clips of him online, he writes exactly as he talks. 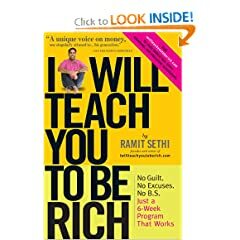 If you follow the book from beginning to end, Ramit has you on a 6 week plan to get you headed in the correct direction to be rich. The first portion of the book dealt with credit cards and I'm lucky enough not to have any credit card issues, but I still read the section and here's the big take-away: you need to do everything possible to eliminate your credit card debt. This principle, of course, should be common sense, but Ramit explains why it is so dramatically important to not carry debt on your credit cards. There are also some good tips on choosing cards, evaluating annual fees vs. benefits, etc. The real meat of the book and the part that I found most interesting and useful was Ramit's system for automating accounts. Although I had a system in place, it was not nearly as automated as it could have been and I was keeping money in places that were not earning me enough interest. I highly recommend the book for the automation section alone as it will truly open your eyes about how easy it is to use readily available technology to optimize your savings. Additionally, by looking more comprehensively at my accounts, I realized that I was not earning the most possible interest on my savings and have been making adjustments to move money around to keep it liquid, but also earn the maximum interest possible. Here's a great take-away for calculating your return that Ramit calls "The Rule of 72": take 72 and divide it by your interest rate and you'll gate the number of years that it will take to double your principal (pretty sad with most savings accounts offering 1% or less these days). Ramit's investment strategies are interesting in that he does spend some time showing you how to create an investment strategy and how to reblanace your investments, but I was more impressed with his discussion on lifecycle funds. From a true "fire and forget" retirement savings plan, lifecycle funds automatically rebalance and become more conservative as they get closer to your target retirement date; no action is required on your part except to put money into the fund. Additionally, although I had heard the term "dollar-cost averaging" before, I did not totally understand it until I read this book -- essentially it means investing consistent amounts of money over time instead of all of your money at once to take advantage of market fluctuation. A lot of what Ramit presents is based on this theory: "I would rather act and get it 85 percent right than do nothing. Think about it: 85 percent of the way is far better than zero percent." He's not necessarily advocating a 100 percent solution, which is what makes so much of his knowledge so useful. In fact, he advocates setting up your finances so that you can have money set aside to do the things that you love. Funny enough, after reading his book, I looked at my monthly expenses and chopped $36 off of my tv expenses, $20 off of dog food, and $30 off of haircuts -- $86 per month is a big deal (and I'm turning around and investing $25 a month of it back into Kiva because that feels like a good charitable vector to me). I also enjoyed this quote about taxes because I've had some silly conversations with people in the past about income and tax effects: "Listen to me: You pay taxes only if you make money. If you're paying 30 percent in taxes on something, it means you made 70 percent elsewhere, so do not freak out about taxes." Probably the best tax advice that you can get. Ok, one final quote that doesn't have a lot to do with the overall theme of the book, but I clipped it on the Kindle so that I could look back at it and laugh: "GOD, IF I HEAR THIS ONE MORE TIME, I AM GOING TO JUMP UP AND BEAT SOMEONE WITH AN ONION. (That way it's unclear why they're crying.)" The book's certainly not dry and unexciting. My keyless entry remote for my Yukon stopped working and I only had the one. 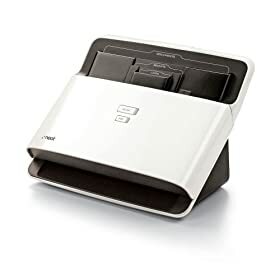 Presuming it was not a big deal, I called the dealership and was told it was $65 for the fob and $35 to program it -- $100 + tax for a stupid remote? Unreal. So what did I do? I Googled it, of course. Turns out you can get the vehicle to enter programming mode by turn the key a couple of times while holding the unlock button and doing a headstand on the driver seat (I may be exaggerating); the process takes about 30 seconds. Then to program the remote, you hold the lock and unlock button together for 30 seconds on the remote and wait until the door lock and unlock. Turn the key in the ignition again and you're done. That costs $35? So I grabbed a spare remote that was in the drawer, but, of course, there are different series of remotes and the one I had was too new for my car. I'm sure you can guess what I did next, right? I hopped on eBay. For $15 at the buy-it-now price plus $5 to ship, there are plenty of sellers that will send you the exact remote that you need along with detailed programming instructions and a guarantee that the remote will work. Pretty easy math: $20 vs. $65 any day. The remote shows up, I program it, and problem solved for $20 vs. the $100 it would have cost at the dealership. Of course, this process would not have worked 7 or 8 years ago because the underlying internet infrastructure wasn't robust enough to find me the right knowledge and enable me to purchase from someone across the country that had what I wanted to sell (and I wouldn't have been blogging about it either). I didn't start eating sushi until a few years ago; I wasn't a fish guy and I'm still not really an across the board fish guy -- I am a very picky sushi eater. The first time I was convinced to try raw ahi tuna, it was prepared by Wolfgang Puck with a light tempura fry on the outside, asparagus in the middle, and served over uni sauce; suffice to say I was hooked. It wasn't until a couple of years later when a waitress in a restaurant asked why I wasn't ordering rolls -- I responded that I hated the taste of seaweed and she suggested soy paper; hooked again. One of the things that I love to do is cook (how else would I get to play with fire and sharp knives?) and I like to cook things that I like to eat. After spending lots of time in sushi restaurants and becoming friends with a couple of chef/owners of sushi restaurants, I have perfected some sushi dishes that I can make at home. I'm going to share with you what I've learned. Bamboo sushi rolling mat. Cover this with plastic wrap when you use it -- restaurants have to do this because it is nearly impossible to sanitize the roller once it gets rice and stuff in it; if they can't sanitize it, you probably get either. Good rice. I like Kokuho Rose brand, but get whatever you feel comfortable with -- find an Asian market and they'll have tons of choices. Soy sauce. If you make a lot of asian-style food, I recommend buying a small bottle at a regular grocery store and then getting the big jug from Costco or Sam's -- you can refill the small bottle from the big bottle and you'll save a fortune. Wasabi. Do not buy prepared wasabi, it has a low shelf life once opened, it loses potency quickly, and you're just paying someone else to mix water with wasabi powder. You can get wasabi powder from asian markets and mix the powder with water yourself -- the more dense the end product, the more potent. Rice vinegar. You can find this at grocery stores and asian markets. Ponzu sauce. Underutilized, in my opinion, this is a mix of very light soy sauce and ponzu juice, ponzu being a very intensely citric lemon. The resulting mix is a light, lemony sauce that goes well with sushi rolls and works well with other foods like dumplings. Readily available in asain markets, though I've seen it in grocery stores as well. Soy paper. I'm not giving instructions for seaweed because I don't make sushi with it. Soy paper is harder to find, even in asian markets, but worth making the effort; all asian markets carry large varieties of seaweed. I order my soy paper from these folks and I like how theirs is packaged because the packaging is resealable, which keeps the soy paper fresh almost indefinitely. I really only eat ahi tuna raw, so that's what I'm going to delve into. You need really, really high quality fish to make sashimi. Most higher-end meat stores have a fish monger that will have sushi-grade ahi tuna. When you choose the fish, you are looking to have the blood line already removed -- ask to smell the fish and if it smells at all like fish, it's not good for sashimi. In Colorado I get my sushi-grade ahi from Tony's Meats; in Southern California, I recommend Sanata Monica Seafood. Make sashimi the same day you buy the fish and keep the fish refrigerated until you use it. Once you've got the tuna steak home and in front of you, you want to trim any gristle on connective tissue that may be on the sides, aiming for trimming it to a square like you see in sushi restaurants. No need to throw away trimmings as I'll give you a use for those in a minute. Once you have your square, cut perpendicular to the grain at a slight angle, aiming for 1/2 inch slices. I like to serve the ahi sashimi with ponzu because I think it complements the fish. If you want to be a little less traditional, which describes how I like to cook, season the tuna steak with soy sauce and rice vinegar for about a hour. Sear both sides quickly (like 30 seconds each side) in a very hot pan. Done right, you wind up with a flavorful crust and completely raw tuna inside. I like to serve this over greens with the Benihana ginger dressing (if you make this, just put all the stuff in a food processor and save yourself a ton of prep time). Ever notice how there's no waste in sushi restaurants? That's because they re-package the "scraps" as different dishes. 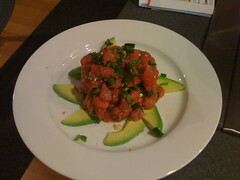 One of my f avorites is poke ("po-kay") and I actually will just make this when not making sashimi; it's especially good if you're using a lower grade ahi as there are powerful flavors that will cancel out any fishy flavors. Just cut the ahi into small chunks, combine in a bowl with sesame oil (little bit at a time because it has a very strong flavor), diced jalapeno pepper, and green onion. If you want to get more creative, put in some sauteed shallots and roast the green onion. When I've got them, I like to serve this on a bed of sliced avocado. I'm going to go through how to make one of my favorite rolls, which is spicy tuna, cream cheese, and avocado. The process is essentially the same for whatever rolls you want to make. Dice up a bunch of the ahi tuna that you didn't use for sashimi. Although some places serve their spicy tuna kind of chunky, I like doing a pretty small dice on it -- the small dice also allows you to remove chewy pieces of connective tissue. Note that you can use lower grade ahi because of the strong flavors and many restaurants use older tuna to make spicy tuna as the flavors will mask any potential fishy flavor. Once you have a good amount of diced tuna (how much depends on how many rolls you want to make), throw it in a bowl with some mayonnaise and sriracha -- note that the mayo is just a binder, so you don't need a ton of it and the sriracha is the "spicy" in spicy tuna, so the more you use, the spicier it gets. If you want to make a little bit more unique flavor, you can throw in some diced scallion and taragon. Rice is extremely important. I recommend soaking your rice for 30 minutes prior to using it, and once soaked, rinse it a few times to get the water to run more clear. Generally Kokuho Rose recommends 1.25 cups of water for each cup of rice; I actually do it in a 1:1 ratio, especially after the soak. If you're looking for a target amount of rice, make 2 cups -- that should be enough for a good amount of rolls. Follow the rest of the cooking instructions and once the rice is done, transfer it to a Pyrex pan. Make a rice coating solution (this amount of solution is for 2 cooked cups of rice) of 1/4 cup rice vinegar, 2 tablespoons sugar, and 1 teaspoon salt -- put all the ingredients in a sauce pan and cook over medium heat on the stove until the sugar is wholly dissolved. Pour the solution over the rice when its in the Pyrex and mix it around with a wooden spoon to ensure even coating. Tezu is important in working with the rice while you're making sushi -- it's what keeps the rice pliable and keeps it from sticking to your hands. You've seen sushi chefs in restaurants constantly dip their hands in what looks like a bowl of water, right? That's actually Tezu, which is a 1:1 mix of rice vinegar and water -- make a bowl of that (1 cup of each is usually good), but be sure the bowl is big enough to dip your fingers in. For the cream cheese you need to use a block of cream cheese, not the stuff in a tub. The cream cheese needs to be cold to cut into rectangles; if it's not cold enough, pop it in the freezer for a few minutes to stiffen it. Cut long rectangular strips that are slightly less long than the width of the soy paper. You need strips of avocado that will easily fit within the roll. Please use a spoon to get the avocado flesh out of the shell and then make your cuts -- these are thin strips, not cubes. I recommend rolling on a cutting board, but you can also do it on a counter if you wish. Grab a piece of soy paper and lay it on top of your mat. Put some Tezu on your fingers, grab some rice, and spread it in an even layer across the soy paper, leaving a small strip uncoated at the far end of the soy paper. You'll have to practice to figure out the correct amount of rice, put make sure you have an even coating (keep applying Tezu as needed to keep the rice from sticking to your fingers -- the Tezu will not damage anything). Note that at this point you could flip the soy paper over make a roll with the rice on the outside. Once the soy paper is coated, put your filling in roughly the middle of the soy paper, staying away from the edges. 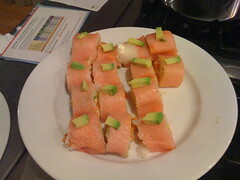 For our roll, the spicy tuna goes down first, then a strip of cream cheese, then the avacado. Roll the bamboo mat from the edge closest to you, applying even pressure; if you do this correctly, you will wind up with a mostly rolled roll. Use the close edge of the mat again to complete the roll so that you get a full completion; if the edge that was left uncovered with rice doesn't stick, put some Tezu on it and press the roller over it again. Slice the roll in half (your knife needs to be sharp for this -- you can pop the roll into the fridge for a few minutes to get the soy paper to stiffen up if you're having problems with it tearing) and then slice each half into thirds; you need 6 pieces out of a roll as it is bad luck to cut it into 4 pieces. I like to put a little piece of avocado on top of each piece of roll, but that's just me. Serve with small bowls of soy sauce and wasabi. Shirt -- I like the shirt choice; I already have a ton of these shirts, so I'm glad to find some agreement there. Shorts -- I've never really thought of plaid shorts as very formal and these shorts look pretty casual to me. Also, these shorts don't meet the functionality requirement of the cargo pockets or additional pocket for the iPhone. I'm kind of up in the air about the shorts. Shoes -- these things are just flat-out ugly. I guess they go, from a color perspective, with the overall outfit, but they look like they serve an orthopedic function to me. Keep your ideas coming and I'll keep posting your full responses with my thoughts. Here's the challenge: how can an executive of a company dress in shorts professionally for the summer? This needs to be a head-to-toe solution, including footwear. More specifically, the outfit needs to work when attending a meeting when everyone else is in pants and polos or button downs without anyone feeling uncomfortable and over- or under-dressed. Loafers with tassels are not allowed. Sorry. Dress-type sandals are not allowed, including fisherman-style sandals. If you can believe it can be pulled off with sandals, then it's the Reef flip flops with the bottle opener in the bottom. Socks are optional, but remember the bullet above. I used to love wearing low Havana Joe oxfords with short socks and it worked, but you can't seem to find Havana Joes in America anymore. 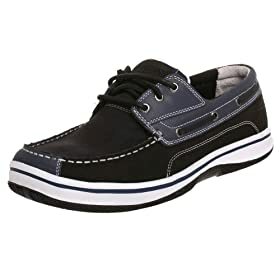 The clothing and footwear that you suggest must be readily available in America and must be able to be purchased and viewed online (i.e., don't suggest the Havana Joe shoe solution unless you actually know where I can reliably get them in the US). Don't just suggest an outfit made by Tommy Bahama. Unless you actually live in a beach community, silk shorts and a silk camp shirt are not inherently professional. Don't just suggest an outfit put together by Banana Republic -- we're not going on a safari. Don't suggest what the guys in Bermuda wear -- blue knee socks, linen shorts, and a blazer and tie are not the solution. Functionality is encouraged. I prefer shorts that have either cargo pockets or at least an extra pocket that the iPhone can go into -- no dorking out the belt. Long-sleeve shirts that can be left untucked are always a good solution -- I like linen or light cotton shirts in white. The Territory Ahead always seems to be a good resource, but I don't think that it is the only source. Short-sleeve shirts are important and polos are fine; if you suggest a polo, it must have buttons on the neck -- none of those silly polos that are like a v-neck with a collar. Sports coats and/or jackets really aren't required -- feel free to suggest lightweight ones, but you'd have to have a pretty convincing argument as to why a jacket needs to be included. Send me links and pictures and all that stuff -- let's see what we can come up with and I'll post what you send (provided it follows the guidelines). This is important. Band/artist as brand as social network as mobile application. As he's done before, Trent Reznor is showing the music business the way with the release of the (free) Nine Inch Nails (NIN) iPhone application. The application offers full integration with the NIN website, which is a thriving social network. Sure, you might say that NIN has an extremely loyal fan base -- they do. You might say that NIN's fans are more pre-disposed to have an iPhone -- they are. Those are not good excuses. The NIN brand just became the portal to something useful for the end user using the iPhone as a vector. Of course, this strategy is not limited to music artists and can be easily duplicated at very low marginal cost by any brand in the world. Why doesn't REI provide the application for my weather, snow reports, and tide tables? They sell all the stuff I want to use for the activities that are driven by those metrics. Why doesn't K2 provide me with an application that gives me ski run maps and allow me to plot my position with GPS? Every time I use the app, I'll associate the information with their brand and they can even send me messages about performance demos on the hill and/or sales at retailers in the village. Specifically relating to music artists: NIN illustrates that artists can build a brand that fans are willing to opt into, to subscribe to. Reznor decided not to monetize the application, which is smart. Artists should monetize transparency and access and exclusive content; the media through which the fans reach those things that can be monetized should be free. If I were a musician, I would simply copy everything that NIN and Reznor did. The incremental costs are very low (you could pull off a lot of the same stuff with free services like Ning) and he is highly successful. Oh, and having your fans download a branded application to their phone is the ultimate in opt-in advertising. United is not the first airline to do this, though they probably should have been one of the first movers on this -- there is precedent. This is not a revenue issue for United; there is a revenue component, but I think that they are responding to frequent travelers like me that are tired of it. Every time I complete a survey from United, I voice my opinion about this issue. I bought my seat. The whole seat. And half of the arm rest on the seat next to me. Remember the invisible line in the back seat of the car? Don't cross over (or under) my invisible line. Seat belt extender = automatic second seat purchase. I've never seen someone that needs the seat belt extender contain themselves within the defined area of a single seat. United is not discriminating against you for your weight problem. If they're discriminating against you, then they are also discriminating against me by maintaining my weight in such a way that I can fit in the confines of my seat and allowing you to encroach on the area that I paid for. If you hide behind blaming your weight issue on genetics or issues beyond your control, read The Body Fat Solution by Tom Venuto or save the cost of the book and realize that you will lose fat by expending more calories than you take in on a daily basis. Sure, big rant on my part. But I spend a lot of money on airplane flights and a lot of time in airplane seats. Snoop Dogg has a channel on uStream.tv called "Snoop Dogg Live". At certain points throughout the course of a day, week, month (depends on Snoop's schedule, I guess), you can watch Snoop go through portions of his life. What's interesting (and potentially disruptive) is that by using uStream.tv as the platform, Snoop has essentially become his own social network. By tearing down the wall that most performers of his calibre build up to shield themselves from the public and becoming transparent in his day-to-day life, he's attracted people to the uStream landing page. What's very interesting is that the uStream platform allows more interaction with comments, followers, and direct Twitter posts -- people are interacting with each other even when Snoop is not broadcasting live. This is easily emulated and my guess is that we will see more of this with other celebrities and artists. The artists that are successful in the future are the ones that can get their fans to subscribe to them, and they will like be able to monetize the subscription; the price the artist pays is transparency and exclusivity for those that are willing to subscribe (and pay). Note that Snoop participates on a lot of other social networks as well (Facebook, etc.) and also has his own community hosted on his site -- uStream is just a very interesting example of the power of artist transparency. I use Twitterfeed to update my Twitter followers with my blog posts. Once a hour, Twitterfeed checks my blog RSS feed, finds new titles, and sends a Tweet on my behalf with the title of the post and a link to the post using SnipUrl. Basically if you follow me on Twitter, you get all of my tweets plus all of my blog posts as tweets. Twitterfeed also updates my LinkedIn profile via Ping.fm because LinkedIn doesn't allow Twitter to directly update my status. Basically, if you are linked to me on LinkedIn, which I consider my professional social network, you get my blog posts as status updates, but none of my tweets. The Facebook Twitter Application updates my status on Facebook with every tweet, so if you're a friend of mine of Facebook, you get all of my direct tweets plus all of my blog posts via Twitterfeed. Just typing this out made me realize how totally confusing all of this is -- I think I'm going to look at boiling it down to just ping.fm and Twitterfeed: ping.fm can update everything (Facebook, LinkedIn, Twitter, etc.) and Twitterfeed can update ping.fm with all my blog posts. Once I have it optimized, I'll let you know. I received a ton of responses to my tweet yesterday afternoon that said this: Obama wants refis - the new problem will be appraisals, mark my words. Allow me to explain this in more than 140 characters. It started by me reading this article in WSJ in which Obama is pushing for refinancing, stating that people should refinance as rates are low and they could save into the thousands per month. I guess it actually started before reading that article as I'm in the processing of refinancing and have needed to go through multiple appraisers to get one that would actually recognize the true value of my home; the only reason I was able to find one is because a house around the corner from me sold at true market value in the last few days and it dragged the comps for the neighborhood up. Here's the real issue: appraisers were a big part of the mortgage problem. I remember going through a number of purchases and refis where appraisers literally would ask for the amount the appraisal needed to be and would do "drive-by" appraisals without ever setting foot in the house. Now appraisers are under the gun from lenders and legislators and they are running scared. The guy that finally did my appraisal correctly took about 45 minutes during which time he measured the entire exterior of my house, measured the yard, measured every room, diagrammed the inside of the house, and shot digital pictures of all the improvements. As my friend in commercial real estate said, "Ross, he actually did a real appraisal." The big problem that many homeowners will face as they go to refinance is that appraiser may not be willing to appraise their homes even for the original purchase amount. Imagine if you paid $200K for a house, put in $30K in improvements, needed the appraisal for your refi to be $200K at a minimum, and the appraiser put your home value at $195K, meaning that in order to get the low rate, you would have to bring $5K in principal to the table in order to secure your mortgage. My mortgage broker told me that, at least in Colorado, they are looking at instituting a process where there is a centralized clearinghouse for appraisers: essentially the broker would call a single number and the clearinghouse randomly assigns an appraiser. In my case, had this been the process, I probably would not have been able to get a good appraisal, at least not until after the other house in my neighborhood had completed its sale. I'm going to be very interested to see how this plays out because I think that although it is acknowledged that the mortgage origination process if much tougher, appraisals do not seem to have hit the radar yet . . . they will. Sorry, but I was trying to get caught up on the stack of books that I wanted to review; I've only got one left, but it's really good and I want to save it to review by itself next week. My apologies for blowing up your feed reader over the last 2 days with reviews, but I hope you find them worthwhile (you should see how many books I don't review). FULL DISCLOSURE: I received a complimentary copy of this book for review. I have to start off by apologizing to the author: I requested a copy of this book for review because I really like his blog and it migrated to the bottom of my review pile -- guess I forgot about the basic inventory rule of FIFO (First In First Out). All of that having been said, Steve Pavlina, the author, writes a great blog about personal development that I read daily (or as often as he posts) and has produced a great book. Steve's got a great personal story that you can read about in the introduction of his book, but it boils down to him having a turning point in life when, after having been arrested for theft, he received community service instead of a stronger sentence. After acknowledging the turning point, Steve dedicated himself to starting a business and reading every personal development document that he could get his hands on, extracting knowledge that worked and discarding stuff that did not -- this book is a distillation of hundreds of books and documents on personal development. The book itself is broken into 2 parts: (1) Fundamental Principles, and; (2) Practical Application. As expected based on the labels, the first part of the book introduces the underlying structure for personal development, and the second part of the book shows the application of the principles. Being a long-time reader of his blog, I found the same writing style in the book to be very familiar: Steve writes in a very direct way and, although I've never spoken with him, my guess is that Steve is one of the few writers that writes exactly as he speaks. None of Steve's writing is esoteric and he favors succinct language to get his points across instead of flowery prose. For those of you that have read personal development books in the past (I've certainly read a few), you will find this book dramatically different (I would call it "refreshingly different", though I'm sure there are those that would disagree). Bear in mind that this book is, as stated previously, a distillation of hundreds of works about personal development, so it is, by virtue of its approach, very different. I'm not going to lie: there is some spiritual stuff in here that may not be appealing, but on the whole, the principles are useful and the practical application portion is very useful even if you don't necessarily subscribe to all the principles. You might not be like me. You might not have made the decision to purchase only books in electronic form from the day that you purchased your first Kindle. That's ok. But here's my deal: I will continue to review books that are sent to my in hardback or paperback, but I feel that as a reviewer I should let you know whether or not you can consume the book electronically. I'd want to know and I figure some of you might want to know. PS for publishers, marketers, etc. : you will get a much faster review if you send me a Kindle-capable version of your book. I'll be honest: I've been slow in reviewing this book because it seemed, well, boring. All of us have had jobs throughout our career where we've been bored; I remember working in retail one summer in college and it was mind-numbing. However, most of us that have been successful figured out how to turn boring jobs into opportunities. The short story is that I didn't really think that there was much to learn from this book. Here's what I failed to consider and what makes this book important: I've been in a position where I have had so much on my plate for so long that I can no longer relate to what the authors term as "boreout". More importantly, it's important, as a leader, to look for the signs of employee boreout and how to combat it. 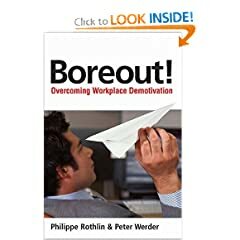 One of the things the authors point out is that many employees that are bored will actually ask for more work, but there is a limit on the employees being proactive about this; sooner or later they give up. Although the authors cover potential economic impacts and out-of-work impacts, the reality is that most people don't go into a job looking to be bored -- employees are looking for meaning in their work (and they need something to work on to find that meaning). The book is structured to be a quick read with important message call-outs throughout the chapters in gray shading. If you are looking for the skimmer's version, you could flip through the pages, read the items in gray, and get a good sense of the main ideas. Worthwhile read if your an employee facing boreout symptoms or if you are in a leadership position in a company. FULL DISCLOSURE: I was provided with a complimentary copy of this book for review. Although those of us in business don't necessarily like to think about it, having a PR strategy for crisis situations is becoming more and more necessary. 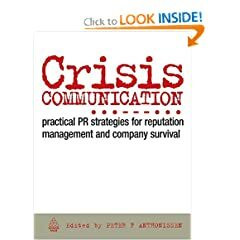 Instead of a single author, this book pulls together 20 authors, all senior crisis communication consultants from IPREX, which is a worldwide network of international public relations agency (I had never heard of it before reading this book). By leveraging the presumably best consultants in each of the individual crisis areas, the book is a great reference tool for anyone in business. I initially figured that the book would focus on large crisis situations, but there is useful advice on how to handle topics such as reorganization and restructuring, fraud, and negative press. Although I was expecting it to be more traditionally focused, the book spends a good amount of time exploring strategies around using the web as a PR vehicle and the new rules, risks, and rewards around it. Most of the chapters include real life examples and/or case studies that really bring home the points for each topic and I'm a big fan of that style of writing in business books. Furthermore, there are a large amount of templates that range from strategic planning tools, actionable checklists, and sample press release copy (the press release copy samples are extremely useful as opposed to Googling for samples that you hope are well-written). Certainly worth having a copy on your shelf even if you don't read it cover-to-cover even if you, like me, hope you'll never need it. Too bad it's not available yet in a Kindle edition. FULL DISCLOSURE: I was provided a complimentary copy of this book for review. I didn't actually think that I was going to like this book as I have a very good CPA that I trust, but then I decided to read it from the perspective of someone that files their own taxes. Once I got into that frame of mind, I found this book to be extremely well-written with lots of tips that ordinary people could leverage for personal tax savings. I especially liked the detail in which the author, Robin Lynn Deutch, went into with regard to using investment vehicles such as IRAs and 401(k)s to realize large tax savings -- these are the double whammies of not only saving on taxes, but investing in your future. The book flows well and has action steps , "Fast Facts", and "Tax Tips" clearly called out throughout the chapters, which can allow you to get through the material very quickly. There are good explanations of IRS procedures and good tips about what do and what not to do when filing your returns. At the end of reading it, I found that it reinforced the fact that I have a great CPA as there wasn't anything in the book that we hadn't discussed; you may wish to pick up a copy just to judge the value of your CPA. Furthermore, if you file your own taxes and are looking to evaluate your options and overall tax strategy, I have not read a more easy-to-digest book on the subject. Note that this book appears to be updated yearly as there tend to be minor and potentially major changes to tax codes that affect individuals on a yearly basis. From the Businessworld interview with Shumeet Banerjl, CEO of Booz and Company come some excellent lessons. There are two most important lessons that a company should learn. One is that debt is a good thing, but you have got to watch capital structure where you have debt deployed for acquisitions. The second lesson . . is that chasing valuation is a bad basis to build companies. If you build fundamentally strong companies, you get good valuations, but it doesn’t work the other way round. Good companies pay attention to ensure that they achieve an adequate balance between top line investment and operating costs.
. . . there are tremendous opportunities that will emerge in this situation. And in order to make that happen we take two or three ingredients. One is industry structure and dynamics. What do you think will be the shape of the industry in two years from now? You don’t have to be right, you have to be more or less accurate. Second, what role are we as a company going to play in that structure? What is the shape of assets we would like to own? What kind of capabilities do we need, and where will we get them from? And third, that cash is king has never been truer. Do we have the balance sheet strength and the capital sources to ensure that we can move fast when opportunities emerge? We have seen again in the course of the past few months that opportunities have risen dramatically and very, very fast. And being in a position to act on those is very important. You should check out TwitterGadget -- it embeds a fully functional Twitter client within the Gmail web interface. TwitterGadget can also be used in iGoogle or by itself, but follow these instructions (5 steps) to embed it in Gmail.